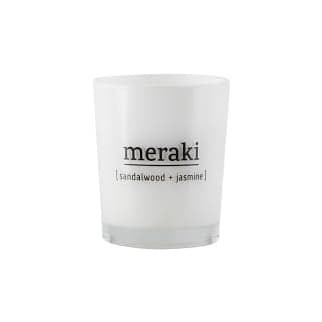 The Meraki Sandalwood and Jasmine Candle is an uplifting scented candle with the fragrance of sandalwood and jasmine. Meraki candles are a natural product made from soya been oil. This gives you a cleaner burn than a regular wax candle. Burn Time Approx 35 Hours.